Simply choose your location and favorite Bensonwood design to start your dream home today. You get the best of both worlds, privacy coupled with unlimited access to all amenities and the entire Okemo Mountain trail system. Contact William Raveis Real Estate Vermont Properties today to start planning your dream home. You can also search SouthFace Village townhomes, mountain chalets, and building lots. 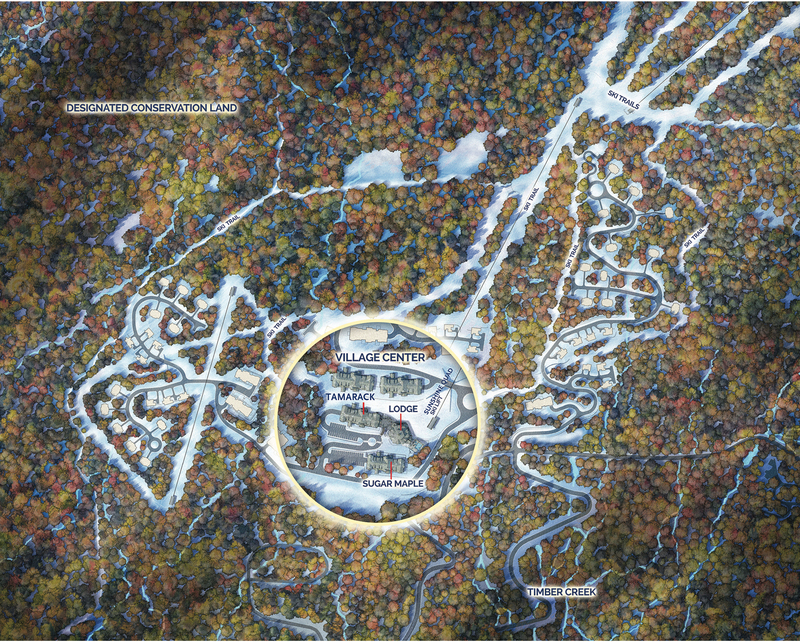 Located in a wooded preserve on Okemo Mountain, our Timber Creek enclave of spacious single-family homes is two minutes from The Lodge at SouthFace Village®. These custom homes built by Bensonwood feature up to five bedrooms with four baths and come with a host of options for customization. Each home is set on a tranquil wooded setting of 2 – 3+ acres for ultimate privacy. Enjoy privacy without seclusion in a setting that offers the best of both worlds located directly across from SouthFace Village®. Residents can take full advantage of this prime location that caters to convenience with a dedicated chairlift taking you straight to the slopes. Special amenities at the Lodge at SouthFace Village include a gourmet eatery, heated pool, hot tubs, outdoor fireplaces and a health club. Timber Creek, where privacy meets convenience. Contact William Raveis Real Estate Vermont Properties at 802-228-8877 for more information or to schedule a visit. Located in a wooded preserve on Okemo Mountain, our Timber Creek enclave of spacious single-family homes is two minutes from The Lodge at SouthFace Village®. These custom homes built by Bensonwood feature up to five bedrooms with four baths and come with a host of options for customization. Each home is set on a tranquil wooded setting of 2 – 3+ acres for ultimate privacy. Enjoy privacy without seclusion in a setting that offers the best of both worlds located directly across from SouthFace Village®. 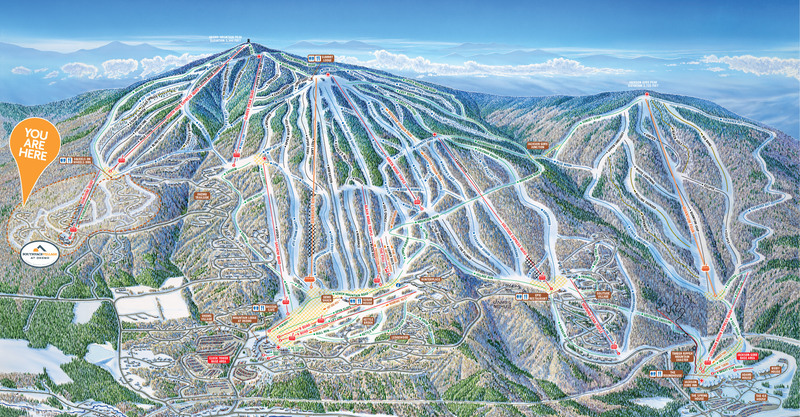 Residents can take full advantage of this prime location that caters to convenience with a dedicated chairlift taking you straight to the slopes. Special amenities at the Lodge at SouthFace Village® will include a gourmet eatery, heated pool, hot tubs, outdoor fireplaces and a health club. Timber Creek, where privacy meets convenience. Contact William Raveis Real Estate Vermont Properties at 802-228-8877 for more information or to schedule a visit.